Emory cheerleaders pose for photos with Dooley, our skeletal unofficial mascot. Homecoming attendees celebrate with a hug. 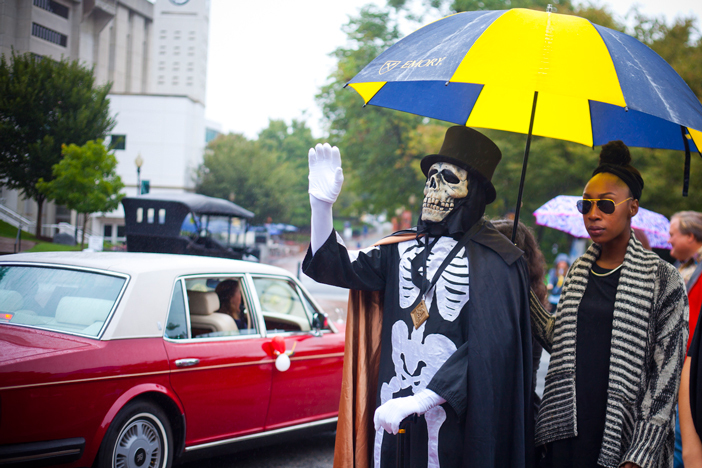 Dooley stays dry while waving to the parade. Parade participants were in high spirits despite the weather. 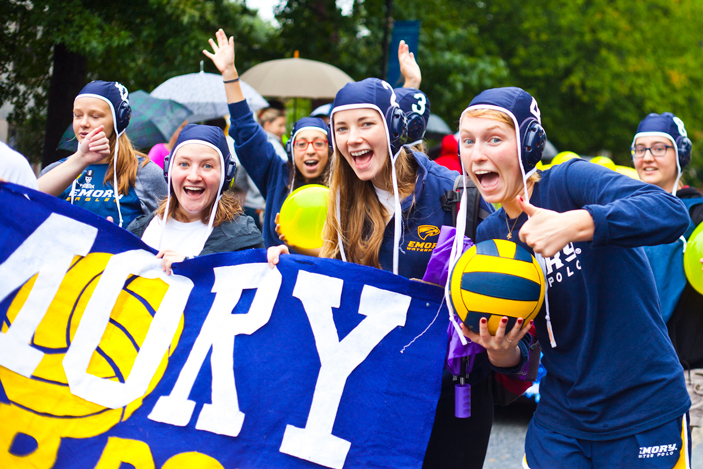 Emory's water polo team joined in the fun. Families found plenty of activities throughout the day. 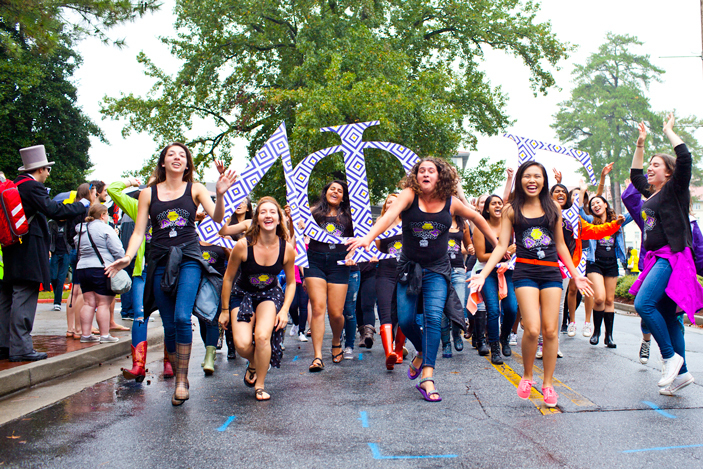 Emory's Greek organizations were well represented in the parade. 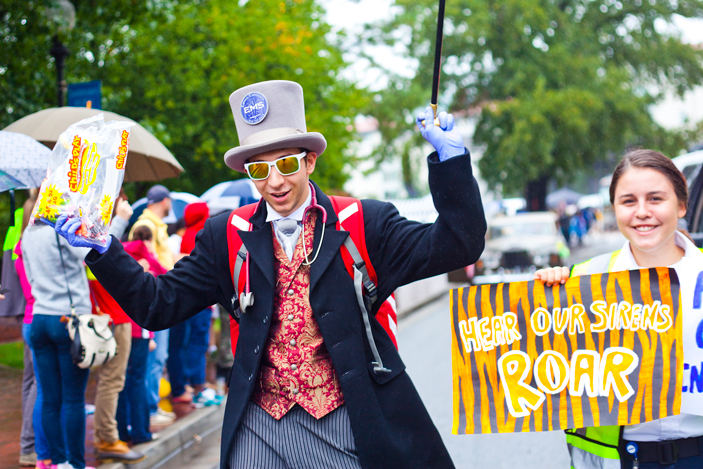 Emory's 2015 Homecoming Parade featured plenty of school spirit despite the weather. Emory Photo/Video. 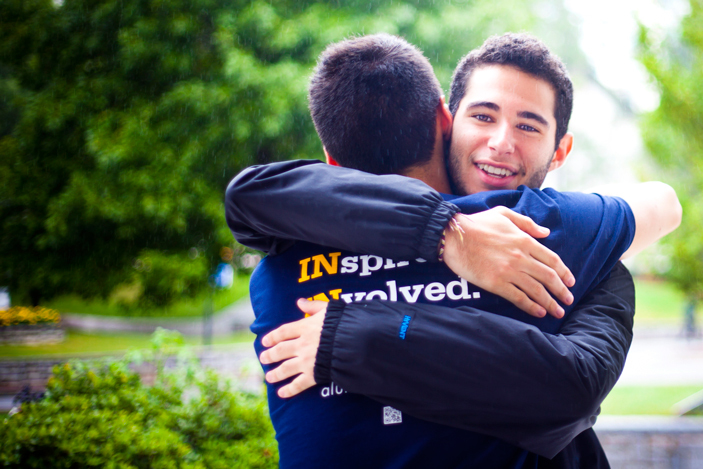 Steady rain couldn’t soak the spirits of hundreds of students, alumni, staff and family members who turned out for Homecoming Weekend 2015. 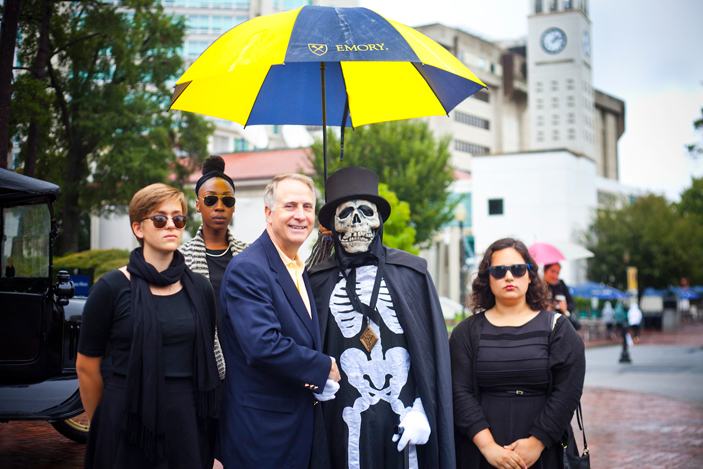 As usual, Dooley — Emory's unofficial skeletal mascot — enjoyed the festivities with his entourage, who carried umbrellas to keep him dry. 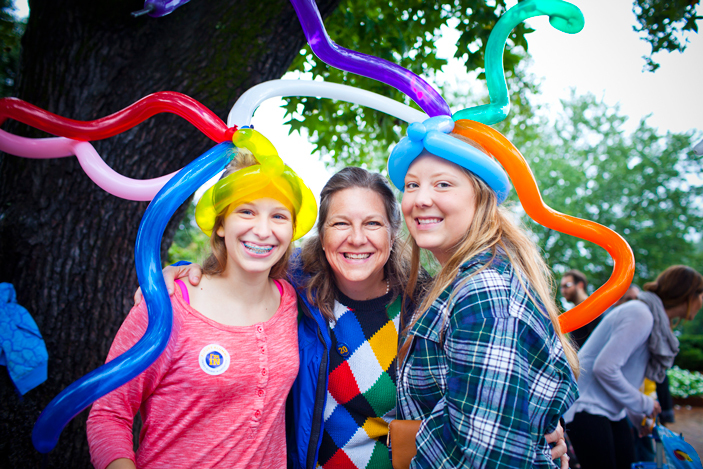 Following the parade, the Homecoming festival at McDonough Field offered lots of fun despite the weather, with food, drinks, face-painting and other activities. The Homecoming concert with Indigo Girls and The Shadowboxers also continued without a hitch, bringing fans out of the tents to sing along to their favorite songs. See photos from the Homecoming Concert.